Filipinos are taking over the online shopping scene in Asia! According to an online consumption study conducted by Nielsen, Filipinos are among Asia-Pacific’s most active online shoppers. That’s not all there is to know about online shopping in the Philippines. Filipinos are reportedly the most savvy at filling up their virtual shopping carts, as 72% of Filipinos use the Internet for product research – bagging the title of being the most active bargain-seekers in Asia, what with the exponentially increasing Internet penetration in the country. 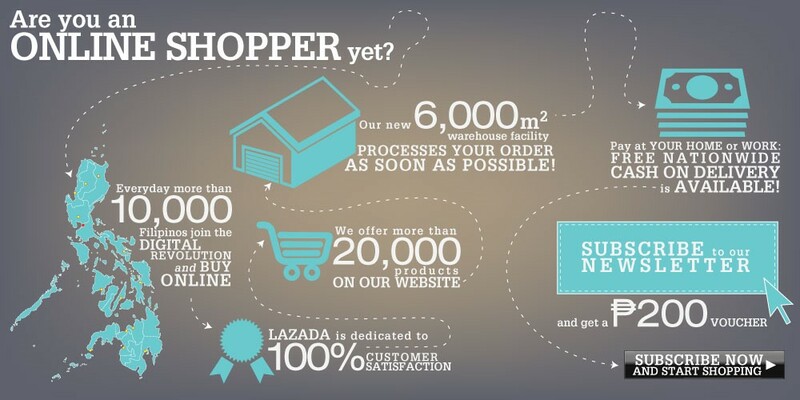 Lazada, the #1 e-commerce site in the Philippines is geared to handle the demand for making products easilyv available. It recently acquired a 6000-square-meter warehouse facility that processes orders as efficiently as possible. 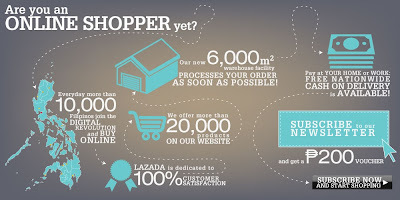 For more information on discounts, promotions, and updates, visit www.lazada.com.ph, subscribe to our newsletter, like us on Facebook (http://www.facebook.com/LazadaPH), add us on twitter @lazadaph. tsss. I heard a lot of good feedback about lazada. But based on my own experience I'm a bit disatified :( cause my order is not yet delivered to our house. I ordered it last december 2013 and until now it is not yet delivered.